Last month I shared my Honeymoon Travel Journal gift since we were into wedding season. But what if you are looking to make an engagement gift instead. I have the perfect gift that could be used for any special event. 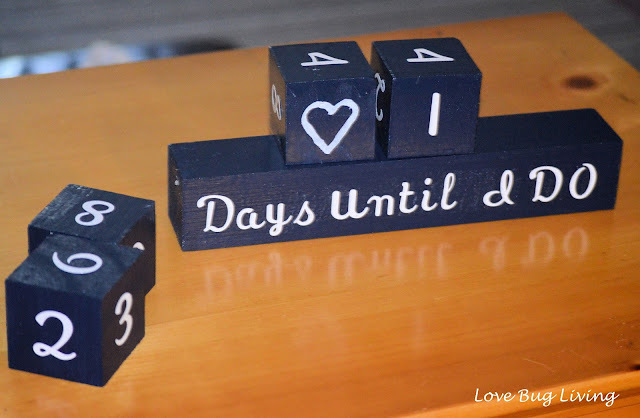 I made Wedding Countdown Blocks for our friends' surprise engagement party. 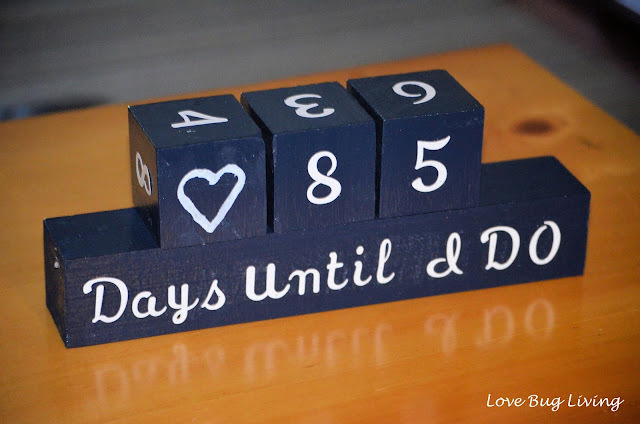 I thought it would be a fun way for them to countdown to their wedding next year. This could be easily made to countdown to a new baby, Christmas or any other big day! I found my small blocks as well as my long block at Michaels. You will need four small blocks and one long. I used a foam brush and craft paint to paint them dark blue. Pick your favorite color. 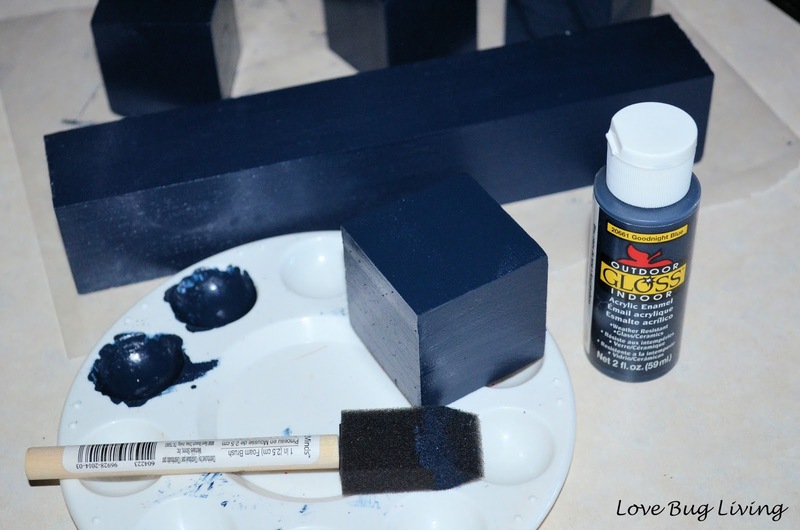 Make sure to allow your block to dry before flipping it over to paint the other sides. You will probably need to paint a couple of coats. Just realize that your 6's will also be used as 9's for the countdown. You will also have a couple of blank sides on your last block. You can use this space to add a heart or a picture of a diamond ring. I drew in a heart with my paint pen on mine. You will also need to add your wording to your long block. I used Days Until I Do, but you could use whatever works for you. If you're doing it for the birth of a new baby you could use Days Until Baby! 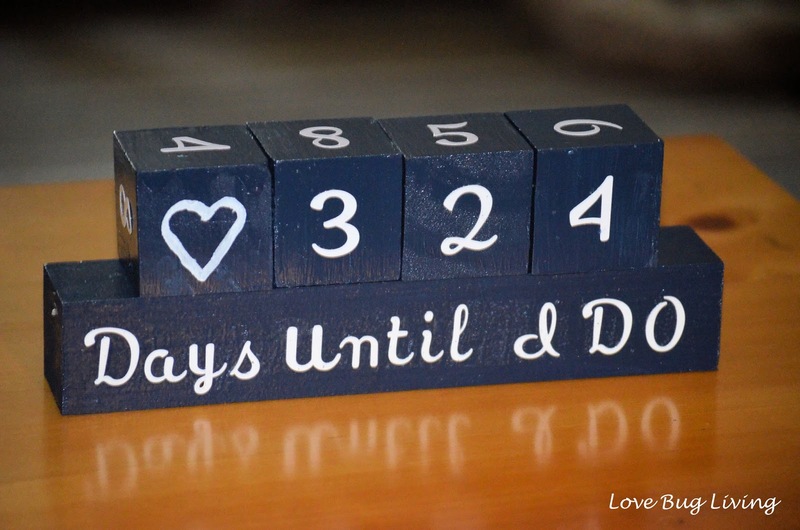 Or if you'd like to reuse this for different occasions, you could always use Days Until the Big Day. 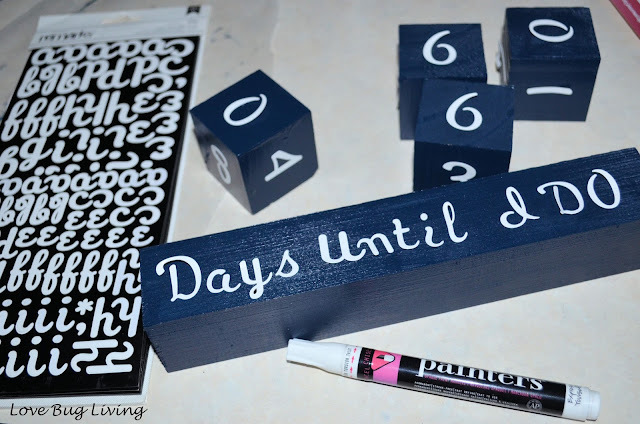 That way you could use your Countdown Blocks to countdown all the big moments in your life! I like to start with my letters in the middle of my block and space them out evenly towards both edges. You could also trace your block onto a piece of paper. Then practice your saying on this paper so you can get your wording spaced out just right before writing it on your block. If you are using stickers on your painted blocks, you will quickly discover that they do not stick that well. Not it's time to add the Mod Podge. 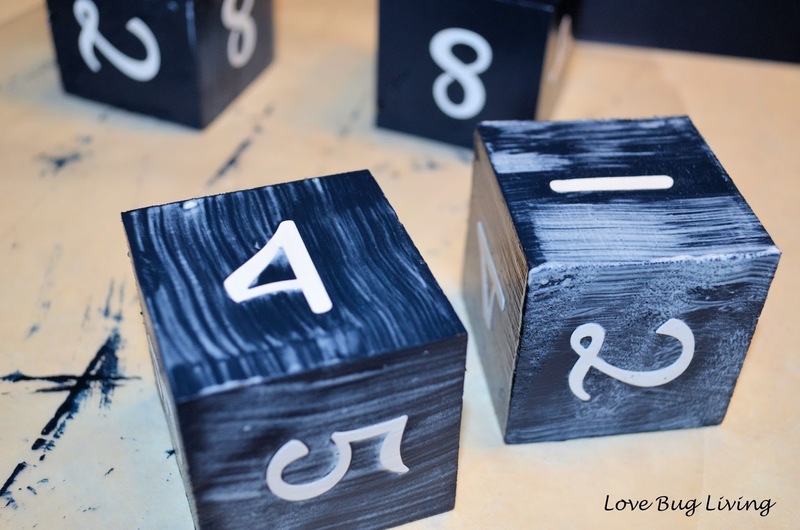 Using a foam brush, add your Mod Podge to each side of your block, allowing it to dry before moving on to the other sides. Apply a couple of coats until your numbers are secure. You can also add a layer of clear acrylic spray paint to seal your blocks. This may make them a bit less sticky if you are having a problem with that. I think this was a fun gift for my surprise engagement party. It was also great decor for the party if you would like a little decoration on the gift or cake table. Whatever the event, these Countdown Wood Blocks are the perfect way to build the excitement for the big day!